This set of screenshots is intended to be an overview of what LogJam is useful for. 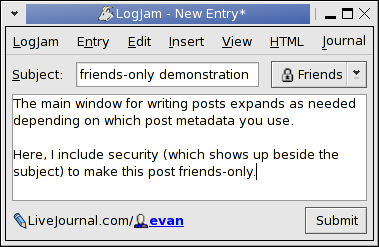 The basic use of LogJam is for writing and posting journal entries, but it can do a lot more. 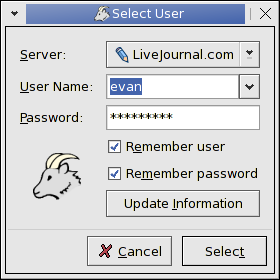 It supports any LiveJournal server, and can track usernames and settings for each. 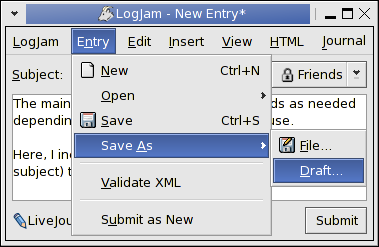 LogJam can load and save entries to files in an XML-based format, or to your own local store of drafts. 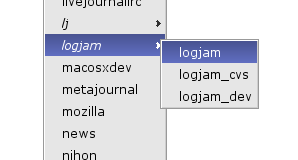 When working with many communities, LogJam infers related community names and collapses them into submenus. LogJam lets you manage your friends list, including your custom friend groups. When doing any network request, you can see the status of the transfer and cancel it. Loading friends is often the slowest. The friends view shows the relationships between you and your friends and a numerical summary. LogJam can store an offline copy of your journal, and let you search and browse it. LogJam also has a command-line interface that makes it usable from scripts. LogJam was written because we use LiveJournal, so we try to support as much of LiveJournal as possible. 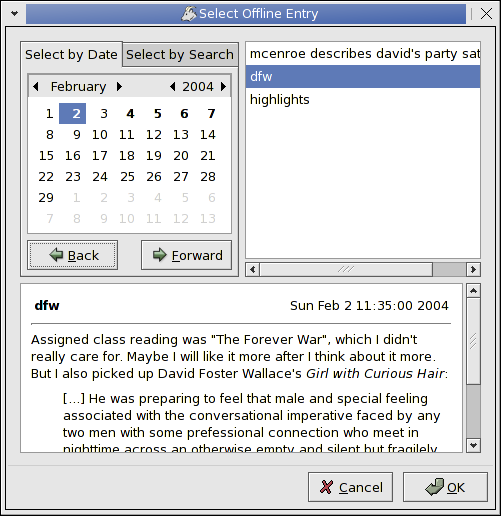 For example, here is an interface to the LiveJournal command console.